Today is a big day for the skeptic community. This is the day we get our message out! Buy your tickets early and come early to the show. There will be a pre-show quiz on screen. There is only one show on one day, and it will likely sell out in many theaters. Thanks, my wife and I have tickets for the theater in St Louis. I will be there.Already purchased the ticket. 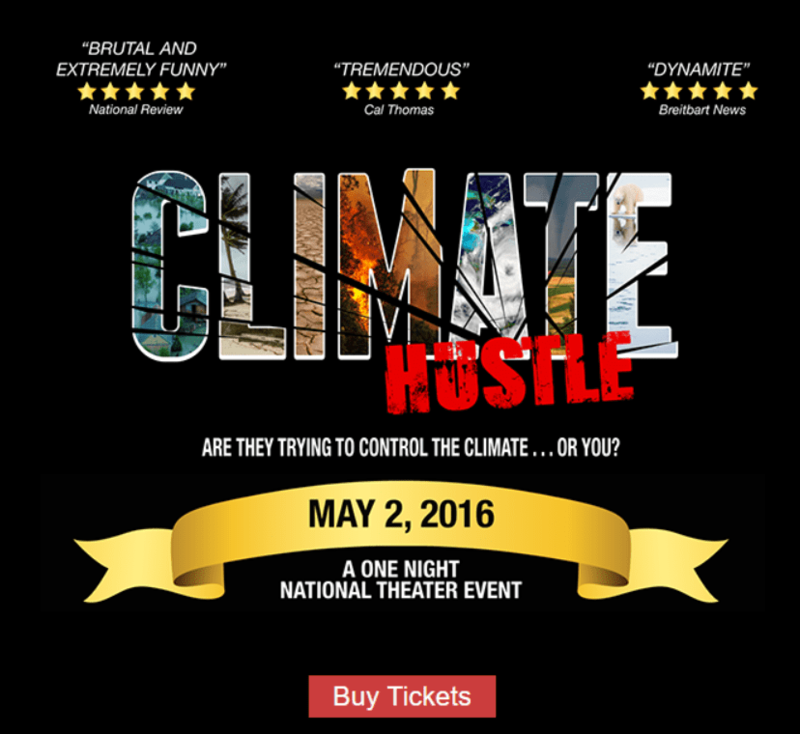 The new film, “Climate Hustle,” available in select theaters in major cities tomorrow will be the first public confrontation with government fraud disguised as “consensus science“! Got my tickets here in Lincoln. Bringing my 21 year old college son. Considering how ‘blind’ you are, even if you do see it, I doubt you will ‘see’ anything. cdqgfj, I see you are not doing well discussing let alone “publishing” science on the other threads so a little diversion was in order, eh? Cannot make it due to meeting. Please give us your critique tomorrow and/or other means of seeing the film. By the way, cdqgfj,is it true that if you say your name backwards you return to the 5th dimension? I don’t know about that but he will get a 15% discount at Holiday Inn.